The United States is flying manned surveillance and reconnaissance flights over Nigeria as it aids the country in seeking more than 200 school girls kidnapped by the Boko Haram Islamic militant group in April. 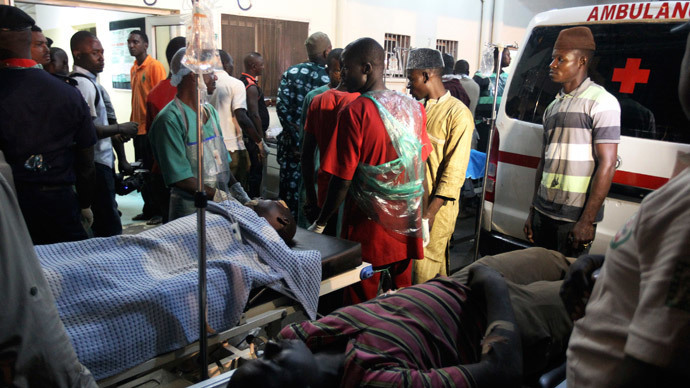 Speaking to reporters on Monday, White House Press Secretary Jay Carney said roughly 27 officials – including some from the State Department, the Pentagon, and FBI – are already in Nigeria, ready to assist the government’s search. “The scope of that assistance has been outlined, and it includes military and law enforcement assistance, advisory assistance, as well as intelligence, surveillance and reconnaissance support,” Carney said. Additionally, the Washington Post reported that an unnamed senior Pentagon official said the White House is also considering whether or not to deploy drones in the search. If the US chooses to do so, it would reroute some of the drones currently being used to hunt Lord’s Resistance Army warlord Joseph Kony. News of the development comes shortly after Boko Haram released a video in which it claimed that more than 100 of the girls had converted to Islam. According to Agence France Press, the girls are dressed in Muslim garb and praying to Allah in an undisclosed location. 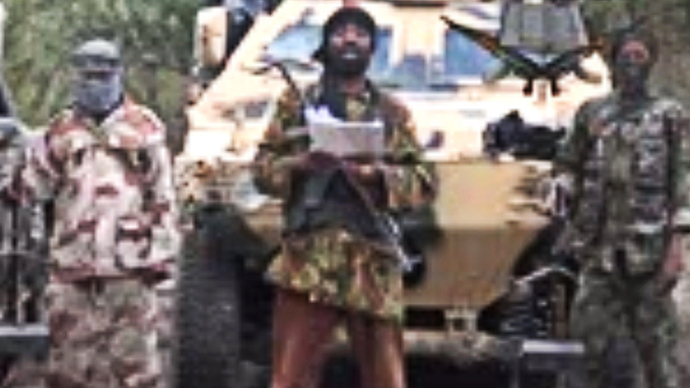 Boko Haram leader Abubakar Shekau reportedly states that he will hold the girls until Nigeria agrees to release the militants it has held in prison. 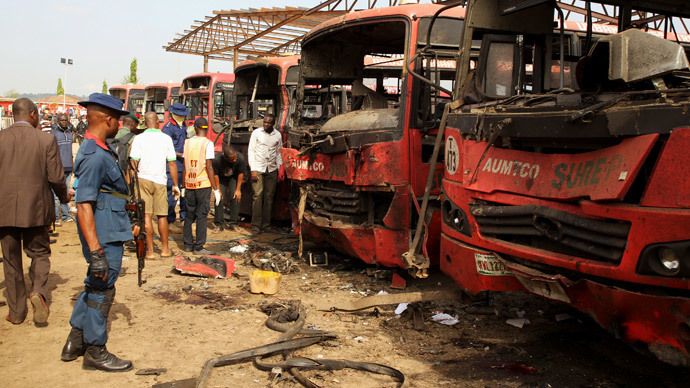 State Department spokesperson Jen Psaki said that, ultimately, the decision will be up to Nigeria. “As you know, Nigeria is in the lead. We are simply supporting their efforts. As you know also the United States' policy is to deny kidnappers the benefits of their criminal acts including ransoms or concessions,” Psaki said. 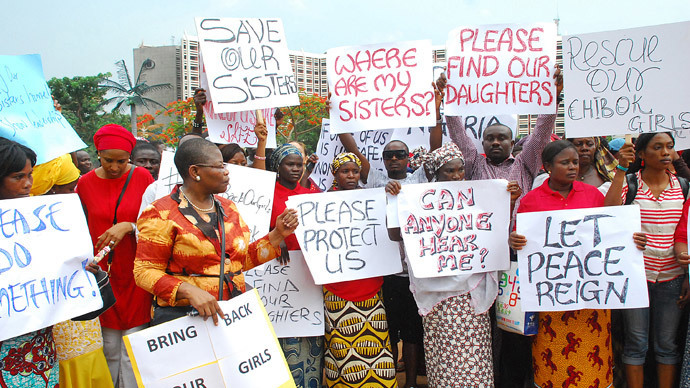 As RT reported previously, about 53 of the girls managed to escape from their captors and return safely, but more than 200 remain missing. 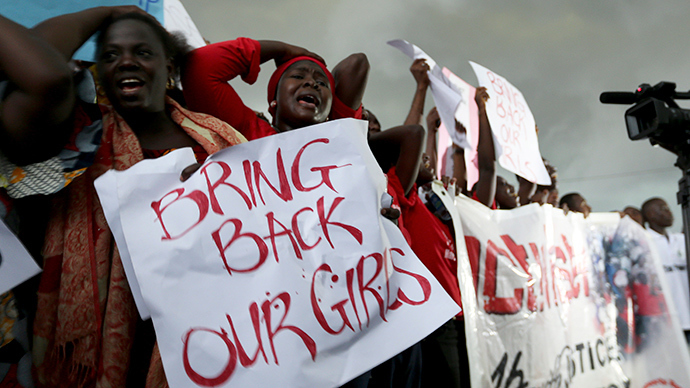 Explaining its decision to kidnap the students, Boko Haram has stated the girls should be married and not in school. At least three parents were able to spot their daughters in the newly released video, and efforts are underway to identify more. Despite the arrival of US aid to Nigeria, Carney cautioned that the search won’t be easy. 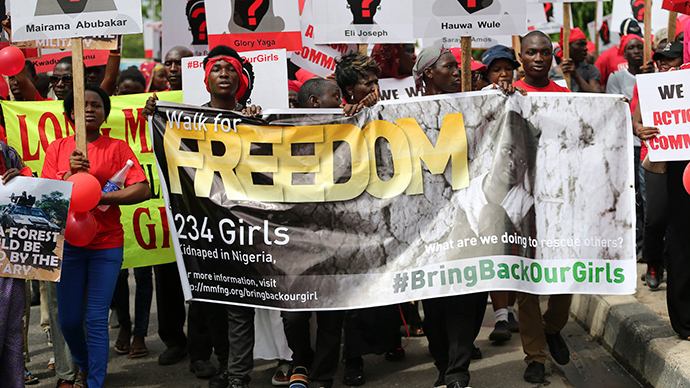 It’s possible Boko Haram will split the girls up into smaller groups to make the search more difficult, or move them into neighboring countries such as Chad or Cameroon.